This Paris Fashion Week, Fashion Week Studio hosted a series of three runway shows featuring collections from international designers. 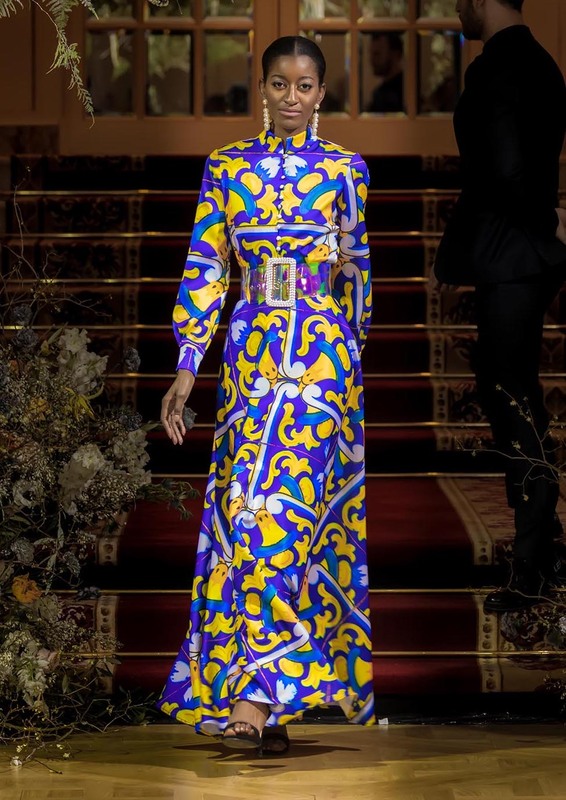 With the stage set in Salon Vendôme of the famed Ritz Paris — and featuring models such Miss Europe, Miss Universe and models who had previously walked with labels such as Balmain, Louis Vuitton and Dolce and Gabbana — the event was absolutely nothing short of a sensational sartorial occasion. 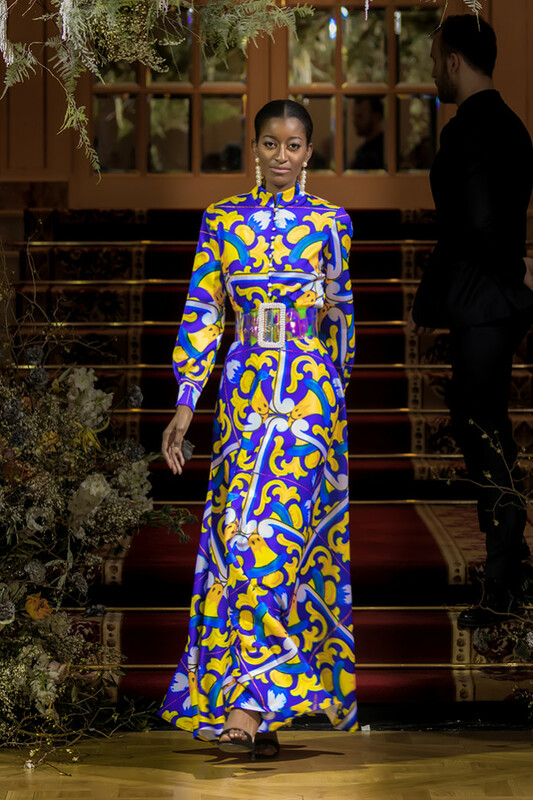 Coco Chanel once declared, “The Ritz is my home.” So it was on February 27, 2019 for these same designers during the unveiling of their clothing lines, in the midst of this fashion month’s winter season. 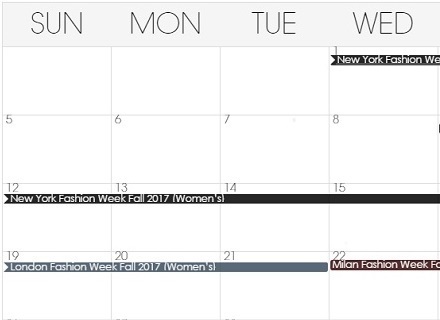 The RSVP list was brimming with buyers from Nordstrom and Bloomingdales, in addition to a front row seating for Royalty of Dubai, the Ambassador of Korea, representatives of Conde Nast, Vogue, Marie Claire, Teen Vogue, and Harper’s Bazaar. The entire venue was teeming with those wanting to view the creations of these promising designers. Ready To Wear was the first to show, with the brand SlouchyZ from Dubai presenting at 11 am. Leisurely but debonair, Maryam Al Selaich has created a series of minimalistic tones to be dressed either up or down. 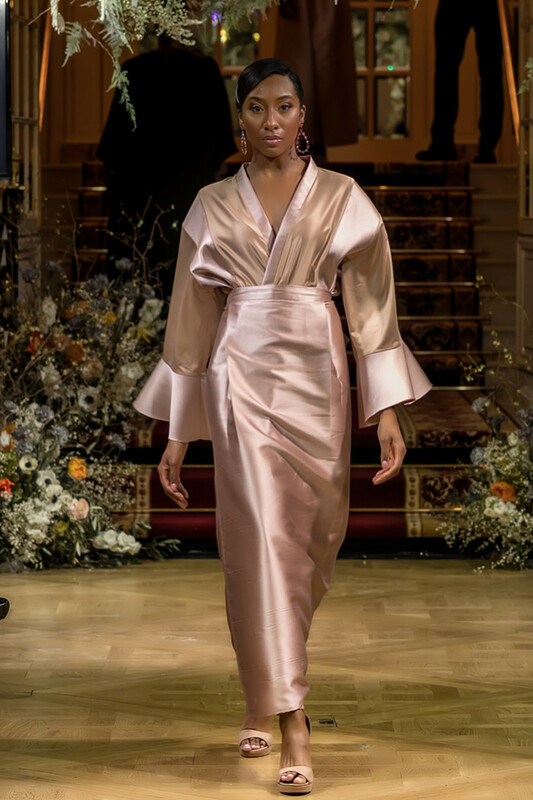 Maryam broke new ground with her simplistic although fanciful approach to silks and linens which dipped loosely against the model’s silhouettes. 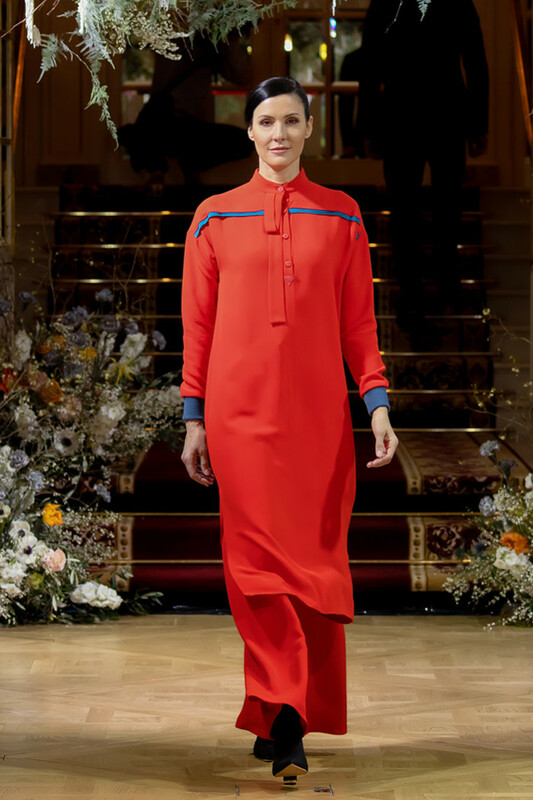 Temperate and modest, yet opulent all the same, her all-inclusive line could be worn by women of all cultures, accompanied by a lavish jewelry collection of precious stones created especially for her Fashion Week Paris line. 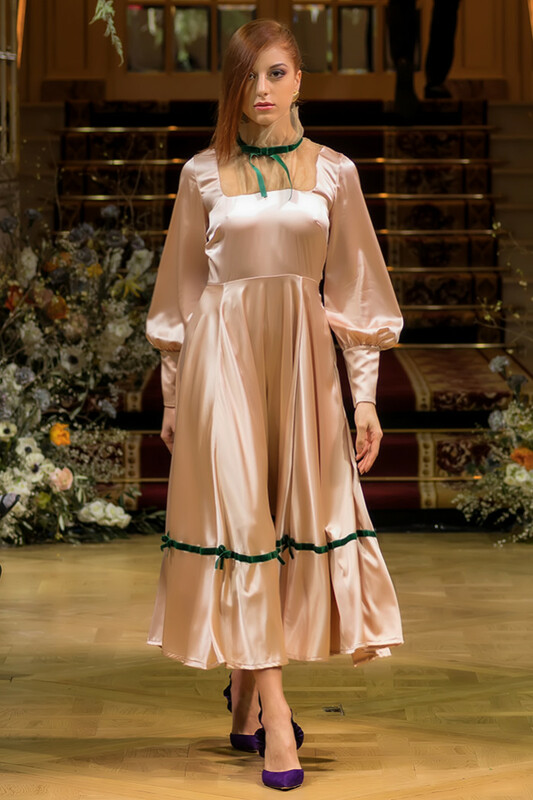 The show continued with Alianna Liu, a French luxury brand whose collection was inspired by fairy tales and letting our whimsical spirits run wild. Georgina Herrera then stole the spotlight with her remarkable jewelry concepts. Accentuated amongst simple black outfits dripped emerald and scarlet jewels framed in gold and silver. 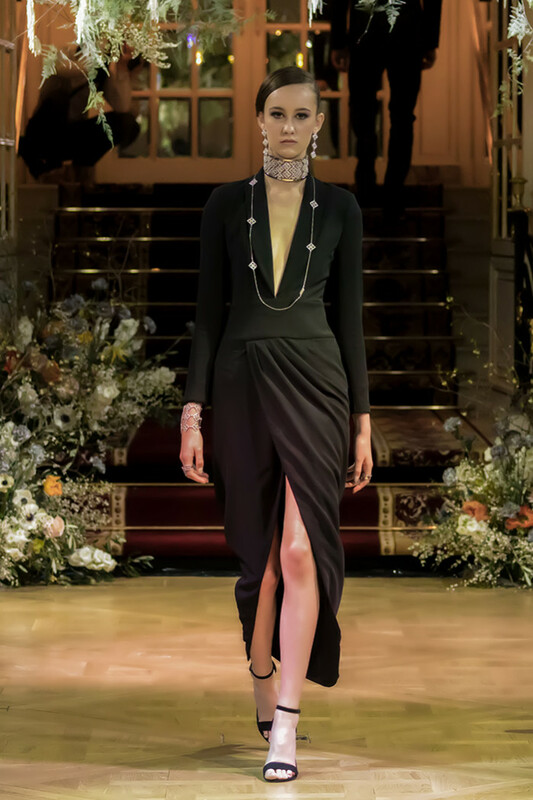 A bold black choker in the shape of a slanted diamond boldly braced the neckline of one model which immediately filled the showroom with a feeling of determination and the stance of the modern women. Viewers and the audience were taken aback by the culture embedded in these pieces. The foremost Puerto Rican designer to launch under Fashion Week Studio Paris, Miriam Budet, continues to amaze us all season after season. Her genius eye and incredible ability to combine classic elegance and casual sportwear into a cohesive and harmonious day to day wear has left us amazed. 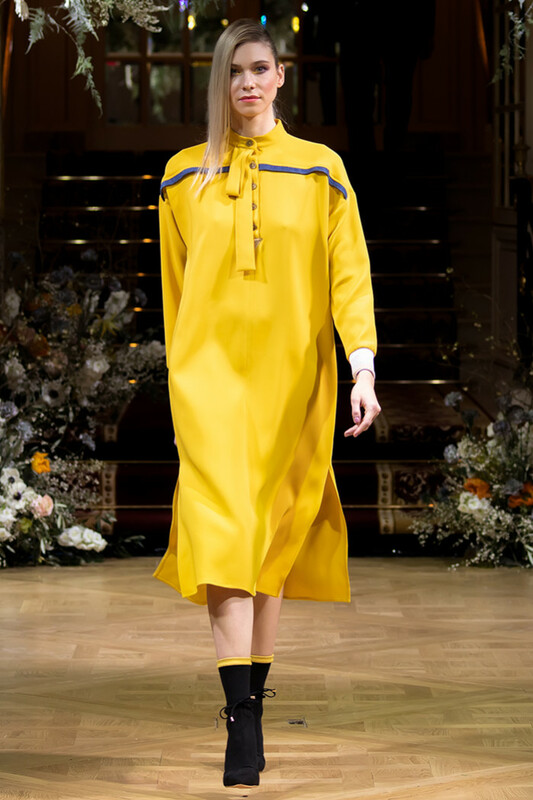 She continues to reinvent her own style, this time by adding a touch of royalty to the one-sleeved mustard dresses adorned with sparkles mimicking auriferous flavor giving us fashion lovers all of the athleisure artistry in a dress that we could ever dream of. At 3PM, we had the honor to introduce you to Korean design house, HEILL. 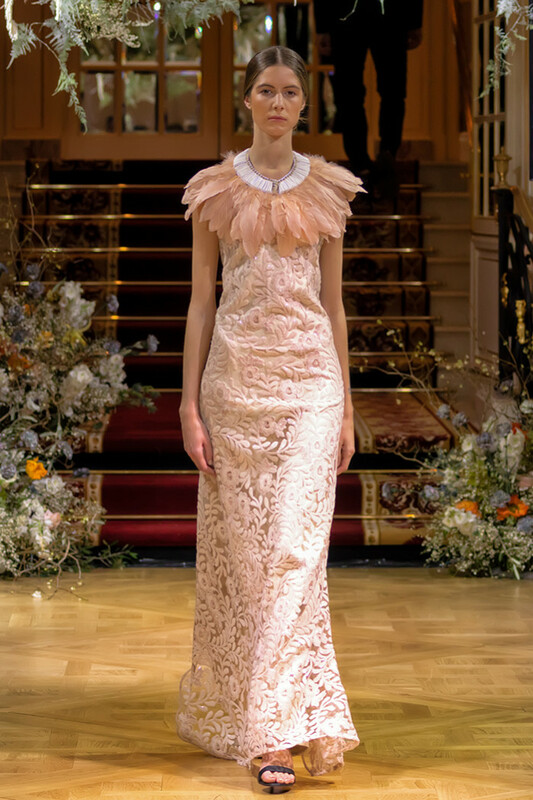 Mr. Heill Yang has been in the business for thirty years -– working on couture to ready-to-wear with various brands after graduating from ESMOD Paris. 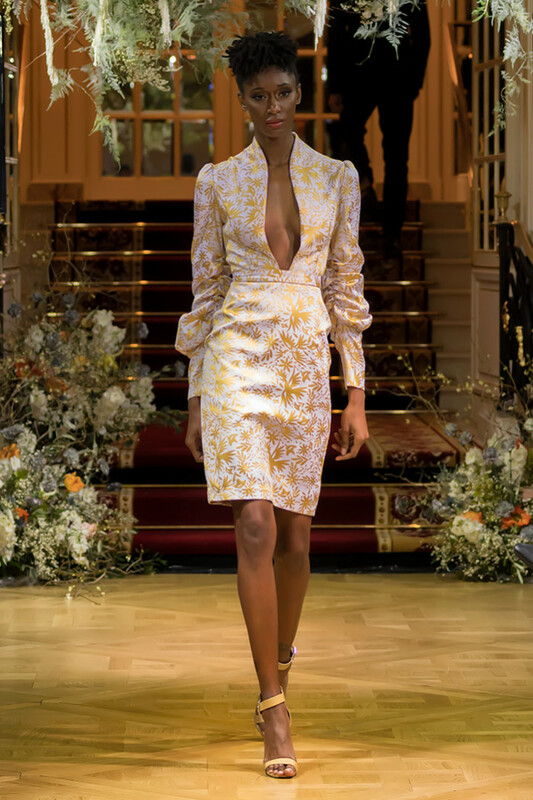 Following a long career of work with several famous brands including Paco Rabanne and Jitrois, the designer of the brand HEILL signifies excellence in tailoring and quality. 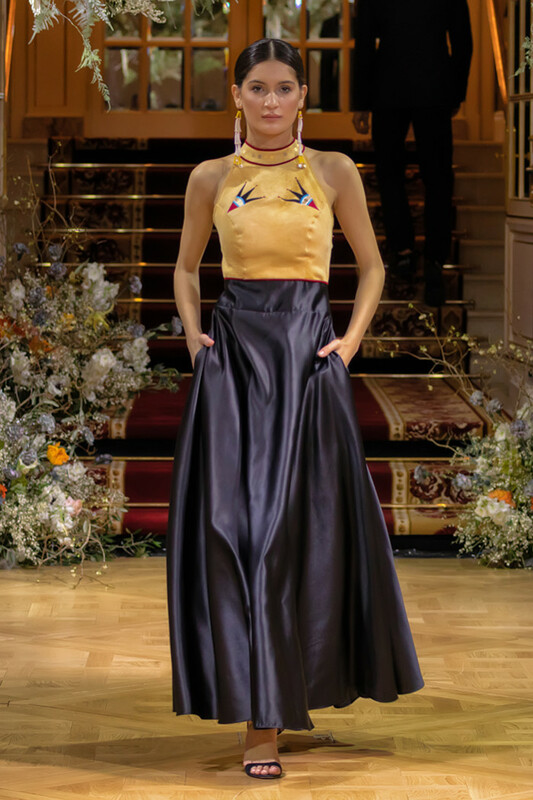 Guests were amazed by his incredible designs and high standard of craftmanship with a touch of Korean heritage which deliver elegance and grace and bring this opulence all the way to the heart of Paris. 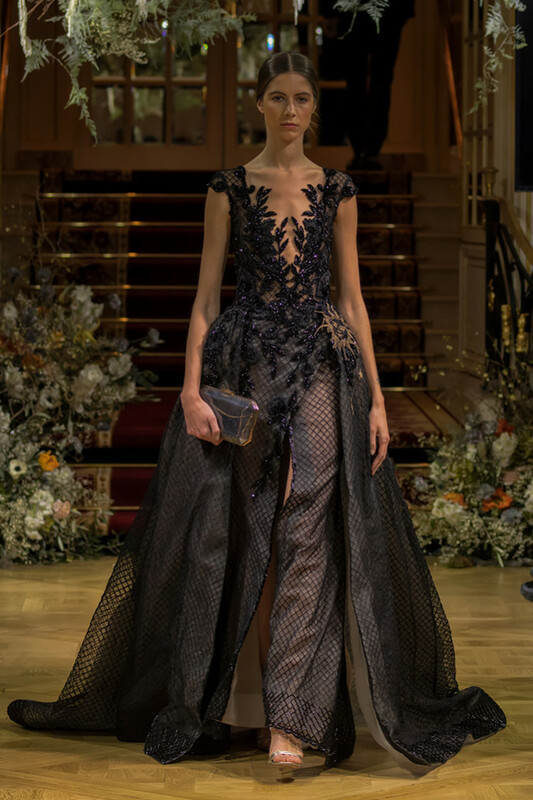 As an astounding designer specializing in couture, Noe Bernacelli from Peru will opened the evening show at 6pm. Faultless craftsmanship embraces the spirit of haute couture. 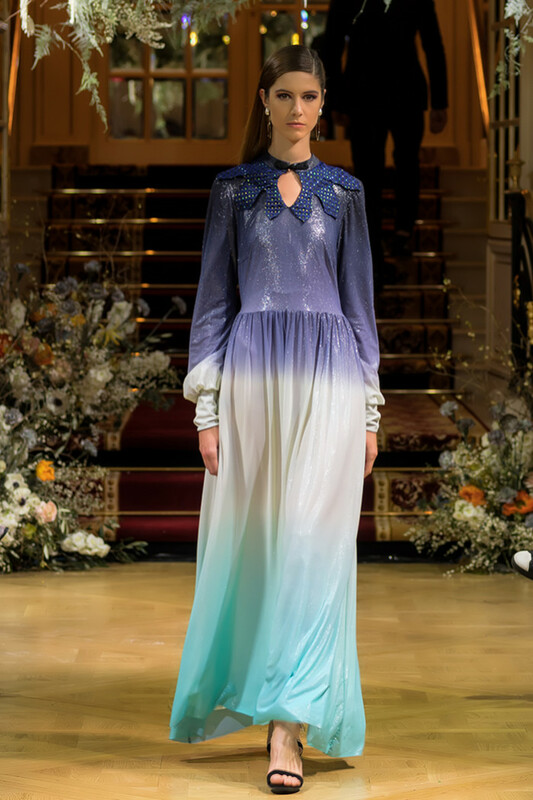 Bernacelli’s designs of the season highlighted sheer dresses beautifully embroidered over rich colors. This spectacle of creative genius originating from Peru made for a scene anyone would gawk over. His designs are simply elegant, regal, airy yet modern with a twist that always surprises us and is a testimony of his true ingenuity. If there is any way to infuse the identity of the Native women into a Parisian atmosphere, Red Berry Women did it best. Norma Baker has introduced traditional garments into contemporary couture. The high necklines of tan gowns embellished with beaded details made their way down the runway. One gown, previously worn by Corinne Oestreich for the 2019 Grammys represented this elegance in the most admirable and exquisite manner. A powerful story of identity was tastefully told by Norma Baker from her collection of this season. 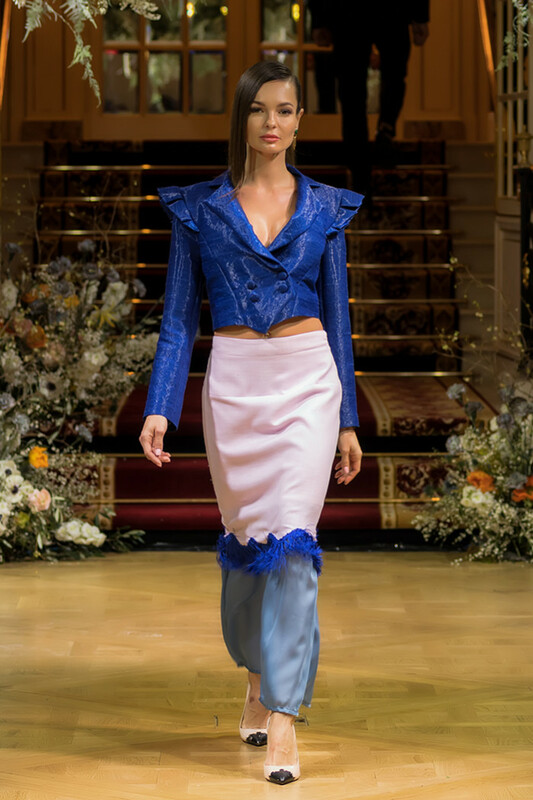 We then had the chance to witness a taste of Cuba intertwined with haute couture which presented itself in a spectacular performance to the audience. 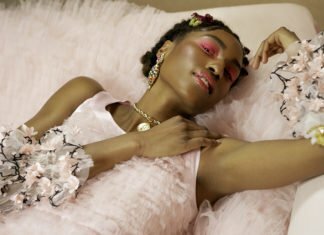 Yas Gonzalez doubled her time on the runway through both of her labels, Xhic as well as House of Yas, both designed in an intricately evocative way. 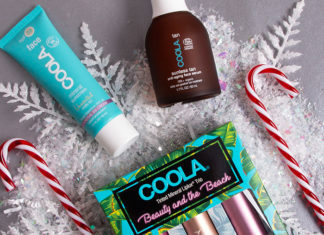 “Timeless Cuban,” her most recent collection, was inspired by the energetic life of Cuba. 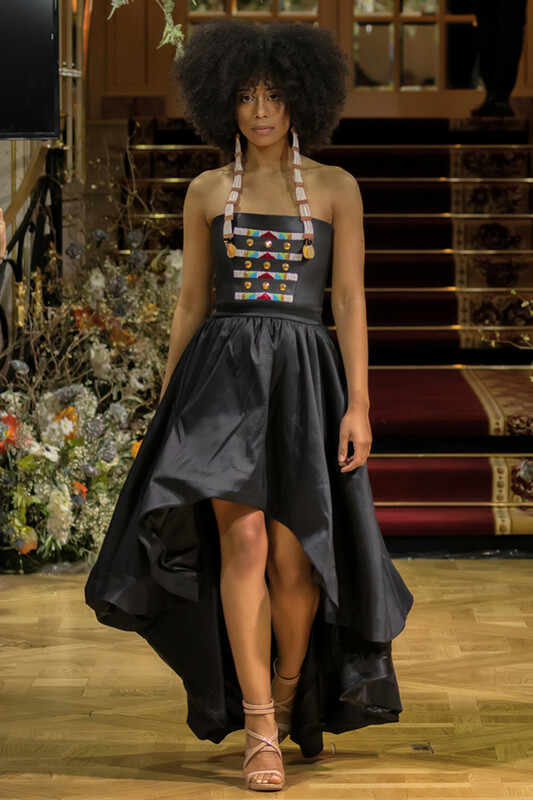 Her collection was inspired by her home country and the experiences she lived as a young girl. The breathtaking belted maxi gown swayed effervescently as though the Cuban experience had been brought to the center of France. In addition to her line, performer and Grammy nominee Leslie Cartaya was featured during the opening and closing the show for House of Yas! 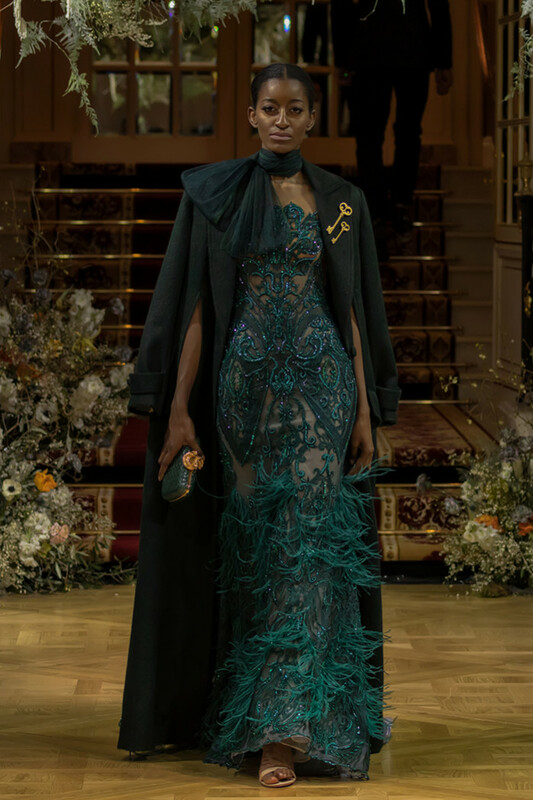 GLAUDI by Johana Hernandez phenomenally closed Fashion Week Studio Paris’ Couture show. The cascading bubble-braids of each model were an unexpected addition to these stunning gowns which debuted one by one in an unsurpassed presentation. Double-layered tulle rimmed dresses took our breath away. 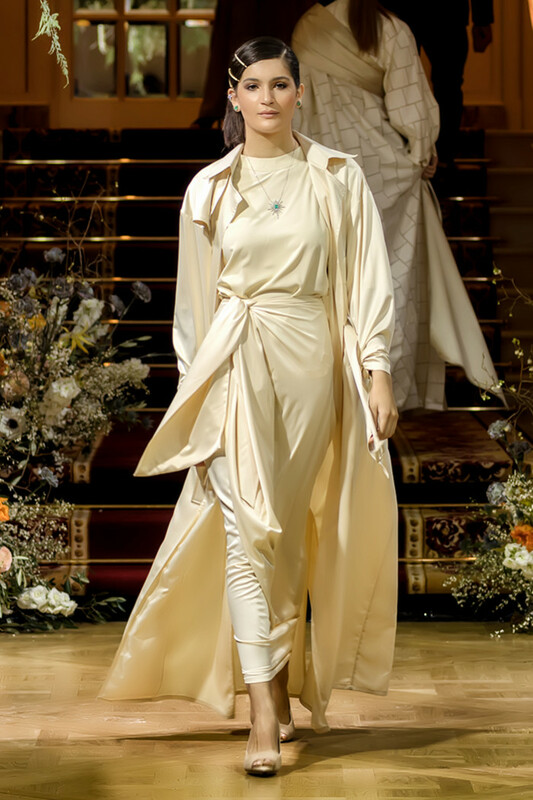 One piece, with a cape attached to the waistline, was taken in by a diamond embedded belt and portrayed the color scheme of a blue sky into a soft ivory. The heart-shaped neckline underscored the models figure with ease and refinement. Parisian glam with a touch of red carpet sultry in the modern woman is what ultimately defined GLAUDI to our audience this past fashion week. Celebrities such as Gina Rodriguez, Nichole Richie, Gloria Trevi, Lucero and many more have each understood the custom luxury of this label and have been noticed wearing featured designs. The designer was Nominated by PEOPLE magazine en Español in 2014 as “25 most powerful women” and Latina Magazine “30 favorite stars under 30” was honored for her success as a hardworking and inspiring designer. Her collection was inspired by the Maldives and we are certain to be wowed by her collection. Amongst her models to grace the runway, the guests will recognize Miss Universe, Marisela De Montecristo as well as Miss Europe, Diana Starkova. Johana Hernandez designs for women who are successful, who are dreamers, and determined. 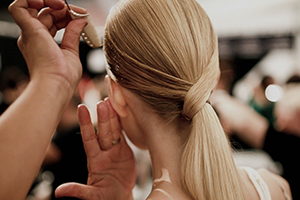 The Fashion Industry is known to move fast and waits for no one. You must jump on the train or you miss it. It has been obvious across international media that our socially acceptable boundaries have been pushed out to becoming all-inclusive. Tolerance and interest in other cultures is the new motto! 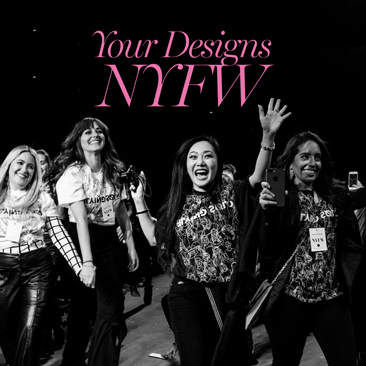 We have been witnessing the most extraordinary embracement in the fashion industry, from models of all ages walking the couture runway of the most renowned designers such as Dolce & Gabbana, to women of all sizes, shapes and colors. Beauty is being redefined and there are those who are fighting progress and those who go with the flow. History is being made and no one will stop it. We have decided to embrace it! Diversity of cultures are beautiful, and this is where the world is heading! 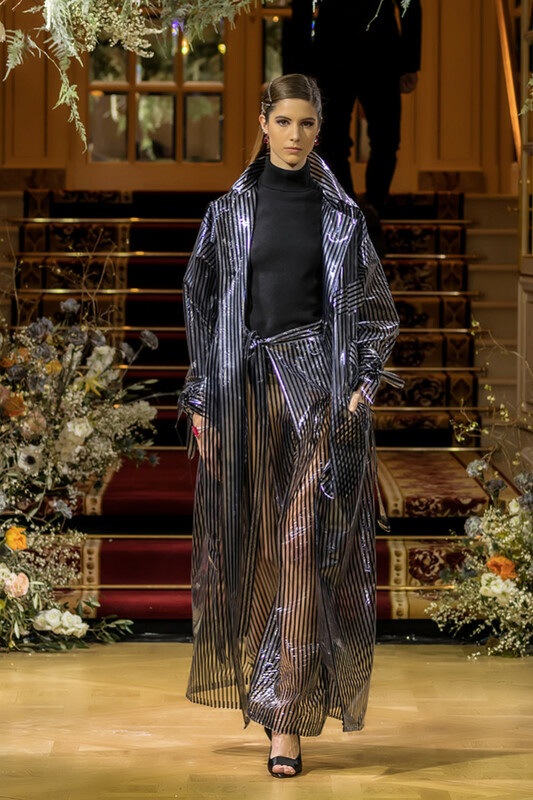 Fashion Week Studio is delighted to announce that after the glorious event this past February 27, 2019, The Ritz Paris will host us once again for a presentation of nothing less then 40 International designers next season in September/October 2019. Additionally, the cherry on top of the cake, a very special surprise for you all, Fashion Week Studio will have the pleasure to introduce you to three incredible designers in private runway showing at the legendary Eiffel Tower! Yes, the Eiffel Tower in Paris, France!